Monument to cavalry-girl Durova N.A. Monument to D. .I. Stakheev. And in the southwest - "Vostochka"
Whether this site is interesting to you? 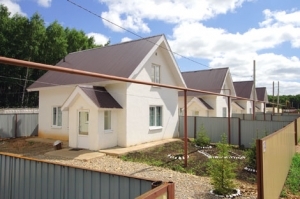 Holiday Village “White dacha” is situated in close proximity to Tanayskiy forest, its clean pine air fills the district with light pine aroma. Having been here once, you want to come back here again, plunging into clear silence and solitude after the noisy bustle of the city. Cute white two-storey houses are fenced with not less pretty fence, the yard has parking space, summer terrace for lunch and outdoor relax, all around is green and cosy. 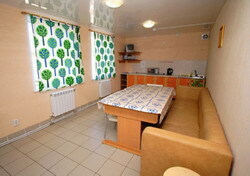 Each family or group of travellers may book for themselves a personal house. A dining table, refrigerator, microwave, kettle, crockery for six persons, as well as TV and stereo system are on the first floor of the house. Meals may be ordered here or you may bring it with you, every yard has a grill for cooking kebabs. Depending on purpose of visit you may and should think over carefully the time being here to spend it with maximum benefit and pleasure. And there is really space to “expand”! 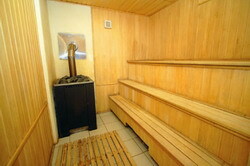 In addition to sauna and massage services, recently a bath on wood was opened here; for fans of a pleasant and active relax there are a swimming pool, billiard, table tennis, recreation room. Very soon there will be a volleyball court, soccer field, a hookah room. You can play paintball, sing karaoke, in winter go skiing and in summer – by bicycle, and so on. White Dacha is a great place to celebrate weddings, anniversaries, birthdays, romantic evenings or wedding anniversaries. There are all conditions for that: VIP-cabin with a beautiful banquet hall, sauna and a five bedrooms, great room design and high level of service. Familiar places, magnificent nature will fill you with invigorating energy and joy of communicating with friends and family. You do not have to spend powers and means for a long journey, travelling to distant lands in search of something unusual. After all, we may find all that very close by. All rigth reserved. 2010-2016 year.